You have to be in touch with who you are – what moves you, what makes you angry, sad or happy in order to create work that stands out – Nicolas Ouchenir. Design is an instinctive process and ignorance spells reflective originality out of freedom of thoughts that are born within, without any boundaries that guides our senses. There are no rules guiding our design aesthetics, just an inner indecisiveness in the hues of unlived past with an absolute love for art and grandeur. In complete absence of any formal training we have fabulously defined our own conventions and crafted couture that spells originality in every possible way, taking inspiration from different cultures, striking architecture and old textiles along-with seamless indulgence in magic of detailing and exemplary finishes. An idea is ‘not’ to Create something new or that never existed before but to create something which is effortlessly beautiful, that is for now and forever. 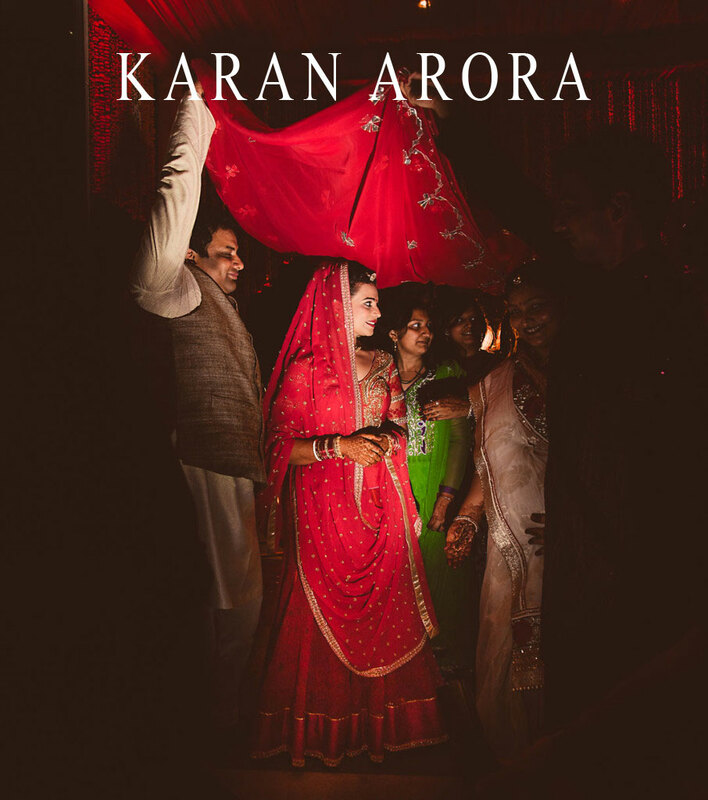 Certainly it is the craftwork in the roots of the Indian-subcontinent that drives the essence of KARAN ARORA. Our signature panel of workmanship involves intense and intricate art of thread and needle in all possible regional dimensions over exquisite hand woven textile that compliments the commitment of time, resources and energies. In the process of creating legacy our collection displays unbelievable usage of Gara, French Knots , Kantha , Qashidaqari, Chikan Kari , Phulkari , Dori in permutation and combination with an absolute form of zero degree Zardozi with Nakshi , Dabka , Kasab and Salma-Sitara, that oozes old world charm at its best in todays uptight essentials over the colour palette that distinguishes us from fashion which fades away with time. We believe in keeping things simple yet very significant in terms of exemplary finishes, exquisite craftwork and exotic hand woven fabric in making of couture that is for now and forever. It’s all about looking ‘not different but beautiful’. The concept of conceptualizing beauty comes in timeless frame of being effortless. Keeping thing simple yet significant is the most understated aspect of today’s metropolitan culture. From classic intricacies of craftwork, aezofree pastel colours, handlooms to exemplary finishes our idea of being traditional in crafted clothing is to make something that is for now and forever and which is beyond the shackles of fashion.